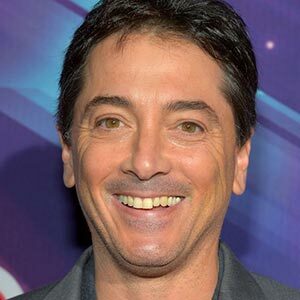 Scott Vincent James Baio was born on September 22, 1960 in Brooklyn, New York. He was the third child of Mario and Rose Baio, who had emigrated from Italy. At the young age of nine, Scott decided that he wanted to be an actor. Soon after, his parents took him on interviews and he was able to land in small roles in commercials. His first real taste of success occurred in 1976 when he beat out 2,000 other child actors for the starring role in the child gangster film Bugsy Malone (1976). The following year, Scott’s popularity soared after he was chosen for the role of Chachi Arcola, The Fonz’s cousin, on the ABC sitcom Happy Days (1974). Soon after, Scott’s parents moved him to Hollywood to help him keep up with the demands of his acting career. Throughout his stint on Happy Days (1974) from 1977 to 1984, Scott still managed to appear in several films, including Skatetown, U.S.A. (1979), Foxes (1980) and Zapped! (1982) and even starred in three other short-lived sitcoms (Blansky’s Beauties (1977), Who’s Watching the Kids (1978), and the “Happy Days” spin-off Joanie Loves Chachi (1982)). This exposure helped him become a major teen idol in the early 1980s. After Happy Days (1974) went off the air in 1984, Scott moved to CBS where he was given the starring role on the sitcom Charles in Charge (1984). He played a college student who was hired to watch over three children. After one season on CBS, the series was retooled and moved to first-run syndication where it ran successfully from 1987 to 1990. Since Charles in Charge (1984) ended, Scott has been able to stay busy, albeit with a relatively lower profile. He has had starring roles on Baby Talk (1991) andDiagnosis Murder (1993) and guest starring roles on Veronica’s Closet (1997) andArrested Development (2003). He has even tried his hand behind the camera, directing episodes of The Wayans Bros. (1995) and Unhappily Ever After (1995). Offscreen, Scott has made a few headlines as well. In 1997, he was rumored to have died in a car accident, but this was quickly declared as false. He has gained a reputation for dating several high-profile (mostly blonde) actresses, most notablyPamela Anderson, Heather Locklear and former co-star Nicole Eggert. In 2007, VH1 played this reputation into a reality series called Scott Baio Is 45… And Single (2007). On the show, he meets with a life coach to try and find reasons why he is still single. In order to accomplish this, he must revisit his ex-girlfriends (including Erin Moran andJulie McCullough) to find out what went right and what went wrong in the relationships. Follwing the completion of the first season, he announced that his girlfriend, Renee Baio, was pregnant with his first child. On November 2, 2007, she gave birth to a baby girl, Bailey Deluca.